An alternative strategy for winemaking from smoke-affected grapes. Please excuse the poetic licence used in Mr Shakespeare’s quote above, but the point needs to be made strongly. If smoke-affected wine is bottled as soon as possible and marketed for early release, consumers may be in for some nasty-smelling surprises a little further down the line if they don’t drink that wine immediately. And even if the culprit compounds are stripped out hastily just before bottling, a bigger problem may still be lurking in the bottle waiting for the right moment to pounce on unsuspecting noses and tongues. Well, as has been obvious in recent years, grape growing regions of the world (America, Spain, Chile, Australia and South Africa) have been plagued by wildfires. Some of these fires are devastating, destroying whole vineyards and regions. Other fires may not directly burn vineyards, but the masses of smoke belching out from the fire into the surrounding area contains a range of compounds (including those known as volatile phenols) with aromas that range from sweet, smoky and toasty (perhaps not too bad-smelling) to ashtray, char and tarry (definitely wicked). Guaiacol, 4-ethyl guaiacol, 4-methylguaiacol and 4-ethylphenol are some of the volatile phenols that are used by scientists as chemical ‘markers’ for the presence of smoke taint in wine. These compounds and others like them are not only absorbed by exposed grapes, but (to add insult to injury) have been shown to increase during the winemaking process, contributing strong acrid odours to the aroma of the wine and making it unpalatable. Smoke taint is described as unpleasant flavour resulting from grape exposure to bushfire smoke, which then manifests as burnt, smoky, meaty, animal, tar and ashtray characteristics in the wine. Which is why the smoke taint issue has become a (hot) topic at the dinner tables of winemakers and producers all over the world, who discuss (hotly) how to tackle the problems that these compounds cause in their wines. Australian researchers are at the forefront of grappling with this problem, due to the frequency and magnitude of wildfires in their country over the last decade. To the Aussies’ credit, they have managed to figure out a lot of the issues, one of which is the presence of glycoconjugates skulking around in the wine, seemingly innocent when it comes to smoke taint, as they have no direct smell. Glycoconjugates (The glyco part relates to “sugar”, and the conjugate part means “coupled” or “bound”) form when volatile phenols that are released in smoke during veldfires get taken up by the grapevine through the leaves, and travel via the vascular system to the grape. It was previously believed that smoke taint compounds resided only on the grape skins (stuck onto the waxy cuticle layer on the outside), but this has been proven untrue by research that has confirmed the presence of glycoconjugates in the grape flesh too. When volatile phenols are absorbed by plants, they are ‘detoxified’ by coupling them (via β-glucosidic bonds, for chemistry geeks amongst us) to different sugars (often pentose, glucose and rutinose). Researchers found that the glycosylation (sugar-adding) process facilitates storage and/or transportation of volatile phenols by increasing their water solubility, as well as limiting any possible toxicity to the plant. These sugar-bound volatiles are then stored in this benign form in plant storage organs (in the grapevine, these are the grapes). 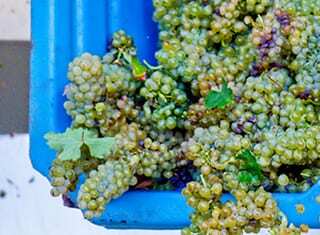 So the grapevine has kindly assisted winemakers in extracting volatile phenols during the winemaking process by forming glycoconjugate precursors that are water-soluble versions of the original less-soluble molecules. This also explains why the most common glycoconjugates found in wines are those of volatile phenols, especially if the grapes have been exposed to any smoke. If that were not enough for a winemaker to deal with, the bonds between sugar and volatile phenol are not permanent. In fact, the glycoconjugate compound can be fairly easily broken down (hydrolysed) into its component parts by acids or enzymes. As wine is an acidic environment with a pH ranging from 3 to 4, the break-down of these bonds is bound to happen at some point. Inevitably, during the winemaking process, yeast and bacteria get involved, and these organisms are full of different enzymes, which may or may not include those specifically able to target glycosides. The enzymatic hydrolysis of glycoconjugates can also therefore be facilitated (knowingly or unknowingly) by the choice of yeast and bacteria which are β-glucosidase positive during winemaking. The Aussies were interested in how stable these glycoconjugate compounds were to the mildly acidic conditions of wine during long-term bottle ageing, and found small increases in smoke taint compounds in control red wines (non-smoked), as well as smoke-affected wines over five to six years. The smoke-tainted wines definitely released additional quantities of volatile phenols, but the authors were surprised at the relative stability of the precursors. They did note, however, that the diminished fruit aroma and flavour from bottle-ageing led to the intensification of smoke taint in some cultivars. This is because as the masking effect of the fruitiness disappears, the smoke taint starts to dominate. Shiraz seemed least affected, according to this study. 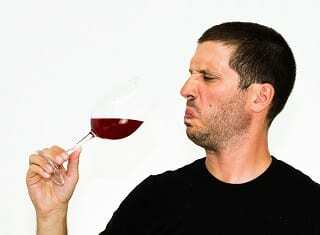 It has also been found that enzymes released by bacteria in human saliva have hydrolysing capabilities which can act on the remaining glycoconjugates and release volatile phenols from wine that cause a horrible ashtray taste on the palate, even when the wine might smell perfectly acceptable. The flavours released by any of these hydrolysis processes will be free volatile phenols, and the wine will then be smoke-tainted. So what is a winemaker to do? Well, first of all, don’t braai too near the vineyard! You can also try the fallback position most commonly used in the wine industry now, which is to treat the wine with a fining agent of some sort (usually a charcoal-based product) to remove the volatile bad-smelling compounds, and market for early release. There are also a number of other protocols around devised by researchers and product manufacturers to try and limit, as far as possible, the unpleasant aromas and taste associated with these compounds. These strategies range from washing of grapes, minimising skin contact, different fining and filtration treatments, using oak and tannin extracts to mask the aromas of smoke taint with those of vanilla and oak, etc. Although some of these strategies work very well in the short-term, the assumption is that consumers rush home and crack their bottles open with indecent haste, and don’t keep the wine for any length of time. Generally these removal strategies only take care of the immediate “free” volatile problem and don’t consider the presence of lurking glycoconjugates and their future influence on the flavour of the wine. Unfortunately, to date, even the well-funded Aussie researchers haven’t come up with a strategy for targeted removal of the glycoconjugates, so that option is not currently on the table. 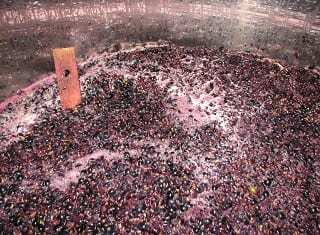 But an alternative plan might be to hold back on early release of the wine, and try to force the release of phenols from glycosides of smoke taint compounds, and then get rid of them. This maximum “release-and-removal” strategy can be achieved through the use of yeast and malolactic bacteria that have high β-glucosidase activity (even using the pure enzymes themselves), followed by fining or reverse osmosis to remove the free volatiles. Ensuring that most of the glycoconjugates are cleaved, and resulting volatiles removed would mean that the potential for phenol release later in the wine’s life would be very limited, if not negligible. In addition, avoiding exposure to possible Brettanomyces sources, and limiting oak maturation in heavily toasted casks, will also decrease uptake of volatile phenols that may add to the pool of compounds causing a perception of smoke taint. Research into various release-and-removal strategies is currently underway at Stellenbosch University. Sensory issues experienced in this year’s unpublished study, supported by work by the Aussies, suggest strongly that an ‘ashy/smoky’ palate in wine results from unhydrolysed glycoconjugates. Bacterial hydrolysis enzymes are likely to be present in the mouth of every consumer (no matter how thoroughly they floss), which means that the risk of a horrible tasting experience is there for them, as long as glycoconjugates are lurking about in your wine. 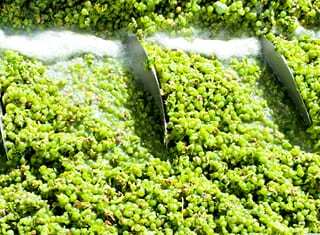 A “maximum release-and-removal” winemaking strategy will help to avoid the skulkers becoming stinkers, and (hopefully) a happy, sweet-smelling ending to your wine’s story even if it does sit around in someone’s cellar for a while. 1. Krstic, M.P., Johnson, D.L. & Herderich, M.J., 2015. Review of smoke taint in wine: Smoke-derived volatile phenols and their glycosidic metabolites in grapes and vines as biomarkers for smoke exposure and their role in the sensory perception of smoke taint. Australian Journal of Grape and Wine Research 21, 537 – 553. 2. Ristic, R., Van der Hulst, L. Capone,D.L. & Wilkinson, K.L., 2017. Impact of bottle aging on smoke-tainted wines from different grape cultivars. Journal of Agricultural and Food Chemistry 65(20), 4146 – 4152, DOI: 10.1021/acs.jafc.7b01233. 3. Mayr, C.M., Parker, M., Baldock, G.A., Black, C.A., Pardon, K.H., Williamson, P.O., Herderich, M.J. & Francis, I.L., 2014. Determination of the importance of in-mouth release of volatile phenol glycoconjugates to the flavor of smoke-tainted wines. Journal of Agricultural and Food Chemistry 62, 2327 – 2336. 4. Pardo-Garcia, A.I., Wilkinson, K.L., Culbert, J.A., Lloyd, N.D.R., Alonso, G.L. & Salinas, M.R., 2017. Accumulation of guaiacol glycoconjugates in fruit, leaves and shoots of Vitis vinifera cv. Monastrell following foliar applications of guaiacol or oak extract to grapevines. Food Chemistry 217, 782 – 789. 5. Parker, M., Osidacz, P., Baldock, G.A., Hayasaka, Y., Black, C.A., Pardon, K.H., Jeffery, D.W., Geue, J.P., Herderich, M.J. & Francis, I.L., 2012. Contribution of several volatile phenols and their glycoconjugates to smoke-related sensory properties of red wine. Journal of Agricultural and Food Chemistry 60, 2629 – 2637. 6. Mayr, C.M., Parker, M., Baldock, G.A., Black, C.A., Pardon, K.H., Williamson, P.O., Herderich, M.J. & Francis, I.L., 2014. Determination of the importance of in-mouth release of volatile phenol glycoconjugates to the flavor of smoke-tainted wines. Journal of Agricultural and Food Chemistry 62, 2327 – 2336. 7. Parker, M., Osidacz, P., Baldock, G.A., Hayasaka, Y., Black, C.A., Pardon, K.H., Jeffery, D.W., Geue, J.P., Herderich, M.J. & Francis, I.L., 2012. Contribution of several volatile phenols and their glycoconjugates to smoke-related sensory properties of red wine. Journal of Agricultural and Food Chemistry 60, 2629 – 2637. – For more information, contact Marianne McKay at marianne@sun.ac.za.